By pure coincidence two of the weddings were held at Pangdean Barn. This magnificent 17th Century oak framed barn is set on a working farm and makes a wonderful wedding venue. Up until 1985 the farm was part of the Royal Estates and once owned by the Prince Regent. The two weddings were both very different in colouring and it was amazing to see the barn so transformed from one day to the next. 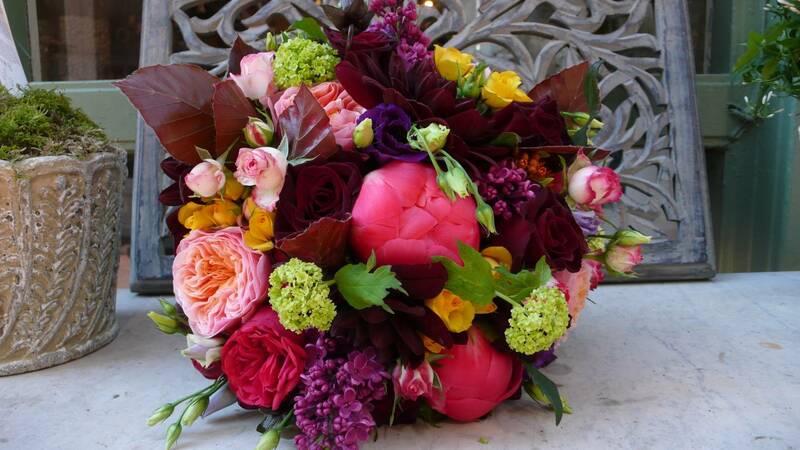 Our first wedding was very rich in colouring with the Bride and Groom choosing the fabulous Coral Charm Peony with rich dark Lilac and orange and burgundy seasonal flowers. 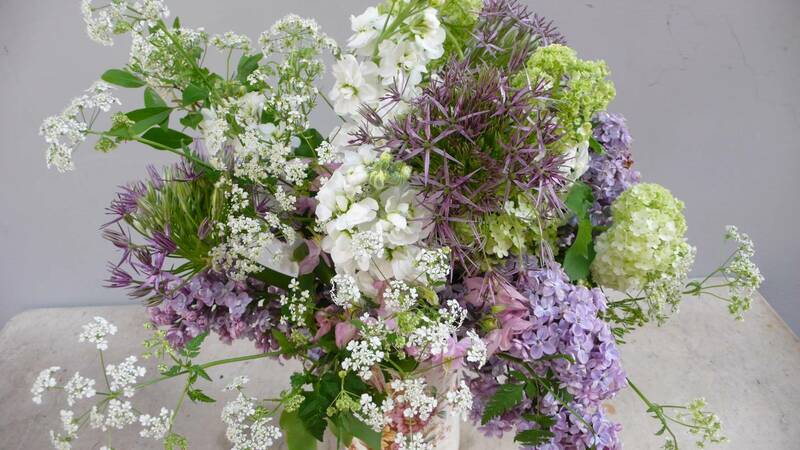 The following day the look was very different with country jugs filled with garden flowers using a very soft palette. Both themes were gorgeous. 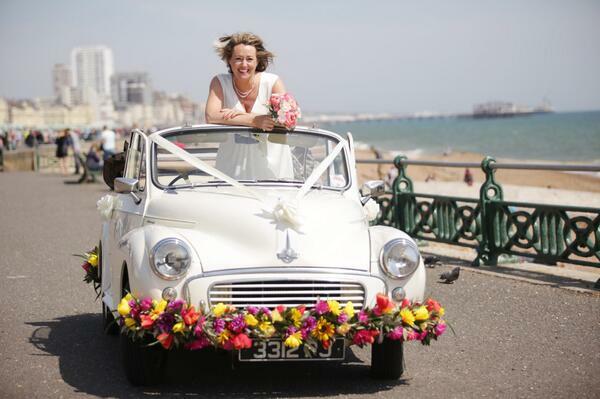 We also decorated a Vintage Morris Minor with flowers for our Brighton Bride - Paul Fletcher took this fabulous photo on Brighton seafront which we love! 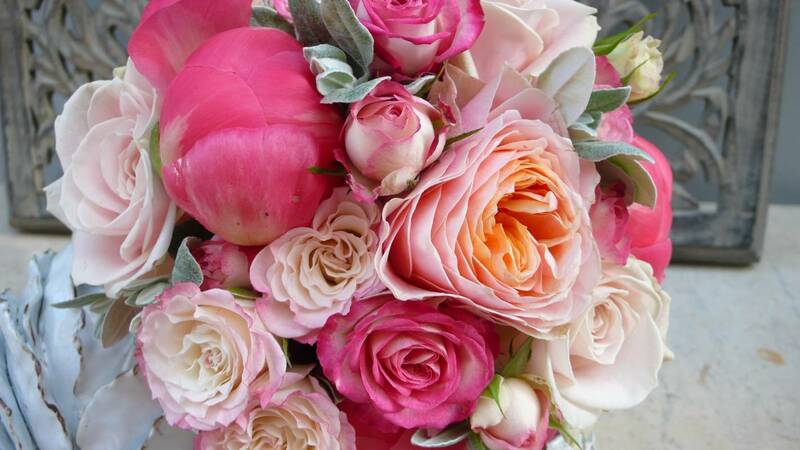 The Bridal Bouquet was so beautiful and simple - made up of coral peonies and soft pink and coral roses. Please visit: http://www.paulfletcherphotography.co.uk/ for more photos of the gorgeous Brighton Wedding and examples of Paul`s amazing work and also http://www.pangdean.com/ for more information on this wonderful venue.